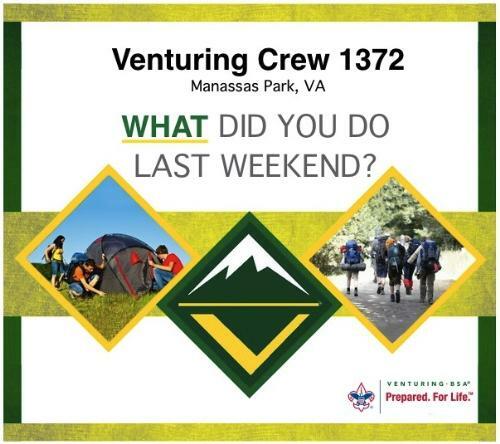 We are Venturing Crew 1372, chartered by VFW Post 1811 in Manassas Park, VA.
We meet at 7:30PM Every Monday at Manassas Park Middle School. Interested in Venturing? If you are a young man or young woman who is 14 years old and not yet 21 years old, then we'd be honored to have you be a part of Crew 1372. Feel free to check out this website and then visit a Crew meeting or event anytime. If you have questions or would like to schedule a visit, please contact the Crew Advisor at VenturingCrew1372@gmail.com or call 973-819-7033. Let's go down the scouting trail together!